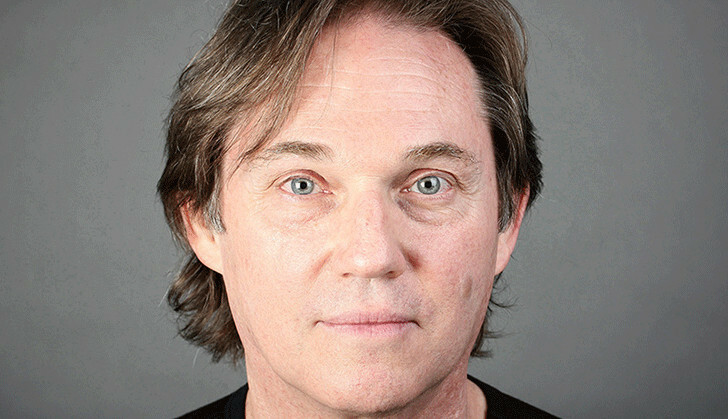 Richard Thomas, an American actor was born on June 13, 1951. Best known as John Boy Walton in the CBS drama The Waltons, has appeared in several television series and theatre acts. Having a great acting skill, he is quite popular among his fans and in the industry. He has won one Emmy award and has also been nominated for two Golden Globe Awards. Talking about his early life, Richard was born in Manhattan, New York City to father Richard S. Thomas and mother Barbara. His parents were the owner of the New York School of Balle. Richard went to The Allen Stevenson School and later enrolled in the McBurney School in Manhattan. He had interest in acting since his childhood and did his Broadway debut at the age of 7 at Campobello in Sunrise. He played a role of John Roosevelt, son of future U.S. President Franklin Delano Roosevelt. In such a small age, he did a phenomenal act and was highly praised by the audience. Richard started his television career very early. At the age of 8 in 1959, he was seen in the presentation of Ibsen’s A Doll’s House alongside Julie Harris and Hume Cronyn. After that he started to act in daytime TV. He was spotted in soap operas like The Edge of Night, As the World Turns. The shows were broadcasted from Manhattan. After struggling for many years in 1969, he got the opportunity to do a major role in a film Winning with Paul Newman. The film was about the auto racing. In the same year, he got another film titled Last Summer. In the 1970s, he was recognized nationally for his act as a John Walton in the TV series called The Waltons. The series was based on the real life story of the writer Earl Hamner, Jr. Later in the year 1971, he played in the series The Homecoming. He left the series in March 17, 1977. In the year 1973, Richard won an Emmy Awards for Best Actor in a Dramatic Series. In the same year, he joined Columbia College of Columbia University but he left after completing his junior year. In 1974, he did the lead roles in the TV movie The Red Badge of Courage of Private Henry Fleming. He appeared in another TV movie All Quite on the Western Front in 1979. He played in several TV movies like Roots: The Next Generations, Living Proof: The Hank Williams, The Master of Ballantrae, Final Jeopardy and many more.Richard was featured on a play by David Mamet on Broadway in Race in 2009-2010. Later in 2011, he appeared in Timons of Athens at the New York Theater. While talking about his personal life, Richard is a married man. He got married twice. His first wife was Alma Gonzales and got married with her on the Valentine’s Day February 14, 1975. Right after the next year of marriage they had a son, Richard Francisco. In August 26, 1981 the couple had triplet daughters. They named the daughters Barbara Ayala, Gweneth Gonzales and Pilar Alma. The couple divorced in the year 1993. After a year of getting divorced, Richard got married again. In November 20, 1994 he got married with Georgiana Bischoff. Their son Montana James Thomas was born in July 28, 1996. Bischoff already had two daughters with her from her previous marriage. The daughters are Brooke Murphy and Kendra Kneifel.